Kendall and Kylie Jenner celebrate Kendall + Kylie Collection at Chateau Marmont on March 24, 2016, in Los Angeles, California. Rejoice! Kendall and Kylie Jenner are set to gift the world with their own brand of literature once again. The sisters are set to release a sequel to their 2014 young adult dystopian sci-fi novel Rebels: City of Indra, called Time of the Twins. The new book, co-written with Elizabeth Killmond-Roman and Katherine Killmond, is set to be released on Nov. 15 and will be published by Regan Arts. Maya Sloan, who penned the first novel with the sisters, will not be involved. ﻿Time of the Twins follows the story of Lex, a rebellious orphan, and her twin sister, Livia, a pampered heiress, as they make a grueling journey in search of the mother they thought was dead. But their journey is just the beginning. They will have to face an ancient prophecy that calls them the long-awaited "twin saviors," destined to save their city of Indra and all of its people. It’s a responsibility they never asked for, but one that may prove impossible to deny. "In our first book, Rebels: City of Indra, we left Lex and Livia in a place where their future was uncertain. 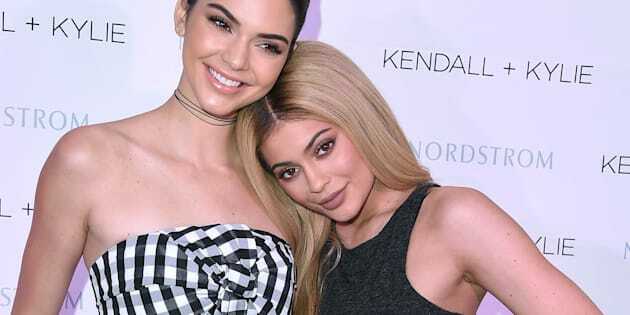 Now, in Time of the Twins, you'll learn how these sisters struggle to get to know each other and deal with their fate," Kylie said of the new book. "We are so happy to be able to continue the story of Lex and Livia in Time of the Twins with Regan Arts," Kendall added. "We love this world and these characters. It's been so fun to tell their story and we are excited to share it with our fans." Ah, yes, the fans. Will they actually buy it? Judging by the poor sales of their first book, we can't say we're optimistic. The reviews don't offer much hope, either. "Garbage from start to finish. Don't bother wasting your time or money on this piece of trash," one Amazon reviewer wrote of the sisters' first book. "The trees that died to make the paper for this book would have been better off as toilet paper." "Just finished the book and went to get some egg rolls. The fortune cookie they gave me said 'The book you just read was terrible' and now my egg rolls taste like regret," wrote another. One person even called Rebels: City of Indra "the literary version of Rebecca Black's 'Friday.'" But considering the Jenner sisters are two members of one of the most powerful families in America, this time around could be different -- especially if mom Kris has anything to say about it.